Arrives to UK cinemas from 22nd May! 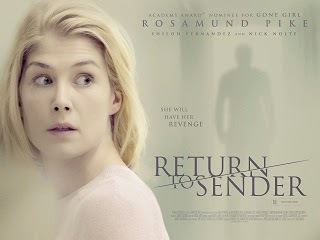 Rosamund Pike (Gone Girl) stars as a small town nurse who gets brutally attacked and raped in her own home by a mysterious man (Shiloh Fernandez). Following his arrest, she starts to write to him but the letters all get returned unopened. Determined to confront him she then starts to regularly visit him in prison and seemingly befriends him, against her father's (Nick Nolte) express wishes. Unable to understand his daughters intentions he fears for her safety come the time her assailant is released…but has he underestimated her strength and resolve?